Following is a Cheddar Cheese recipe that will end at the curd stage. It is adapted from Kathy Biss’s book Practical Cheesemaking published by Crowood Press in 2002 by way of Cannington College in cheddar’s heartland: Somerset County, England. Please be prepared to bring at least TWO batches of cheese curds to the Holiday Party: one flavored, and one plain. If you would like to bring additional flavors, please go right ahead. 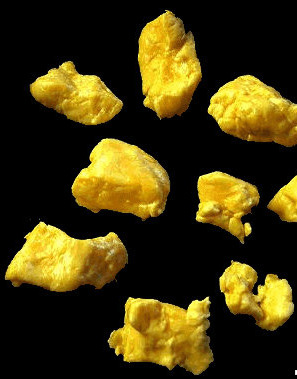 Cheese curds are quite perishable in nature — they lose their “squeak” in just a few days time. Ideally this will be a Friday or Saturday batch before the Sunday party, but you will have to fit it into your schedule, obviously. A portion of the curds will be used to prepare POUTINE for the party as well — after a tasting has been held and winners in the CLASSIC CURDS (plain) and the CRAZY CURDS (flavored) have been announced, so be prepared for things to get messy. Curds that will be meant to be sold should be made from heat-treated or pasteurized milk. 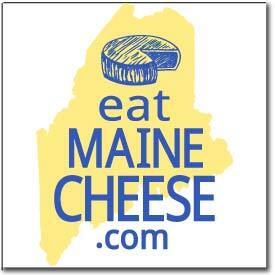 We will welcome, however, raw milk curds. Please label the milks (and treatment) so that we can compare the flavors of each! Inoculate your raw or heat-treated milk at a temperature of 85degF with an MA culture (a mix of ssp. lactis and ssp. cremoris) at a rate of 5 DCU per 100 lbs. of milk. Ripen for 1 hour (freeze dried culture) or 45 minutes (bulk wet culture). Rennet with 9ml SINGLE STRENGTH per 100 gallons milk mixed in 5 to 6 times the water. When the curd “splits cleanly” cut immediately into “wheat grain to small pea size” pieces. Scald the curd by gently increasing the temp 2degF every 6 minutes reaching 102 – 104degF after 60 minutes. Stir with the heat OFF after scalding another 45 to 60 minutes, allowing the temp to slowly drop. When the curds feel “shotty” — they bounce of the hand in the vat, and spring back when squeezed — let them settle for 10 minutes then carefully draw off the whey. Cheddar by forming the curds into cakes, allow them to drain for 15 minutes, then cut the cakes and pile them to “press themselves” to release more whey while keeping warm. Repeat this cut and pile every 15 minutes in the vat (removing the drained whey if it doesn’t naturally leave the vat) until the HOT IRON TEST results in a 1.5 inch stretch. To perform the Hot Iron Test, take a steel bar (steel skewer? clean fireplace poker? ), heat it close to red in a flame, allow it to cool to black, then apply it to the back of a sample curd. When the curd has “cooked on” to the bar, pull it back to see how far the cheese strands will stretch. If they reach 1.5 inches or more, the curd is sufficiently acid to mill and salt. Mill curd cakes into rectangles *roughly* 1cm X 2cm X 4cm. Salt at a rate of 2% (by weight of curds). Allow the salt to be absorbed before flavoring your curds. Posted in Guild and tagged holiday, recipes.